Anyone who has been involved in vehicle accident understands how frustrating and sometimes frightening such an experience can be. It is important that you work with an Orange County personal injury law firm if you have been in an accident, especially if you are injured. Names of law enforcement officers who reported to the scene of the accident. You should also use your cell phone to photograph the scene of the accident. Make sure to get pictures of the way the cars are located in relation to each other; places on the car bodies where physical damage exists; and the license plates of the vehicles involved. Your Orange County personal injury law firm will need this information later. The accident was at least in part your fault. You don’t possess enough documentation to sufficiently support a claim. They might even argue both of these points. It is important to keep a level head and not become embittered or angry. Instead, focus your energy on collecting all the supportive documentation that you can so that you can build a strong case. Even if you do, the insurance company is not legally bound to offer you a settlement. They may, instead, say that an offer they made is their last one, and that if you want more, you and your Orange County personal injury law firm will have to file a lawsuit and battle it out in court. Sometimes the insurance company is playing a bluff, sometimes not. They know that it is likely to be less expensive in the long run to offer a settlement than to litigate. However, if the company believes you have a weak case, they may think you won’t take it to court. Expense for a car rental. Make sure when you and your Orange County personal injury law firm make your claim that you include proof of each of these expenses. If you fail to do so, the insurance company will likely argue that you are not entitled to be compensated for that portion of your loss. Each year many car accidents in this country cause injuries to drivers and passengers. 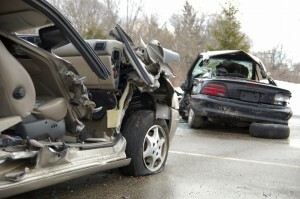 If you experience injuries in your car accident, the legal issues become much more complicated. You will be entitled to additional losses/expenses, but you need to document these thoroughly. For instance, you will be entitled to compensation for injuries sustained in the accident. You might suffer ongoing physical pain after the initial treatment, so don’t let the insurance company base its settlement offer merely on your treatment directly after the accident. Even if you do not seem to be injured, it is a good idea that you go to a doctor to make sure. Some injuries manifest themselves only later. Indeed, sometimes an accident victim can seem injury-free for months until suddenly the effects of the accident are realized. You may suffer ongoing physical difficulties that require long-term treatment. Moreover, you might suffer mental trauma that requires psychiatric care. The bottom line is that you need to document all your injuries, and don’t let the insurance company try to force you into a quick settlement. If you have been injured in an automobile accident that was caused by someone else you have the right to file a claim to recoup damages. You may well find that it is in your best interests to work with an Orange County personal injury law firm that understands the process and how insurance companies work. Call Russell & Lazarus APC today at (949) 851-0222 to arrange a consultation.